A lovely 5* Victorian Country House boutique B&B near Dolgellau, North Wales. Recently refurbished and stylishly decorated throughout. Chandeliers and luxurious soft furnishings, candle-lit dining (advance booking required). Elegant cosy drawing room with doors to the gardens and conservatory. Furnished with an eclectic mix including Victorian and Edwardian antiques. All bedrooms are sumptuously decorated and have luxury bathrooms. Grade II listed Bar, Grill & Rooms offering six gorgeous, individually designed bedrooms including two suites nestled at the foot of Cadair Idris Mountain and 4 miles from the historic town Dolgellau, South Snowdonia. Graded as Gold (exceptional) by Visit Wales and voted by The Independent 2012 as one of Britain’s Top 50 Country Pubs. A lovely Victorian Country House Hotel, which dates from 1860, stands in grounds of five acres on the floor of the River Wnion valley, surrounded by grazing meadow & is set in the heart of the beautiful hills of Southern Snowdonia. Palé Hall is a privately owned luxurious Victorian Country House Hotel near Bala in North Wales, set amongst 16 acres of gardens on the edge of Snowdonia National Park. This quality hotel near Bala has been awarded the Visit Wales Gold Award, which is given to the top 2% of hotels and guest houses in Wales. Originally built as a coaching inn around 1780 with 10 spacious rooms, each with either a private bathroom or shower room. Built in 1752, the White Lion Royal Hotel is a 4 star coaching inn right in the heart of Bala. With a warm welcome, high quality guest rooms, a cosy bar and large restaurant. A 18th century grade II-listed former rectory with 3 rooms offering VisitWales 5-star accommodation. On a secluded hillside, overlooking the largest natural body of water in Wales, Bala Lake. This stunning Victorian house, stylishly refurbished in 2012, is the perfect place to relax. 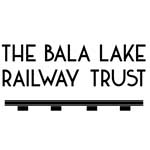 Bwch Yn Uchaf Bed & Breakfast is situated at the doorstep of the Bala Lake Railway. The 1800’s stone build house was built to go along side the railway when it was part of the main line. We offer 4 rooms with the king and the twin room having views of the station. A family run Bed & Breakfast near Bala with two rooms offering en-suite facilities. Services include drying facilities for clothes & boots, hot-tub, wireless internet connection and secure storage for bikes and boats. Abercelyn Cottages is run by the owners, who take pride in ensuring that the accommodation, service and facilities are of a high standard. Abercelyn Tithe Barn 1 (for 3) and Tithe Barn 2 (for 4) cottages are graded by VisitWales as 5 Star (exceptional quality) while the Poor House (for 6) is graded as 4-star (excellent quality). Beautiful luxury cottages in Bala, Snowdonia. We have four delightful detached 5 Star cottages sleeping 4 or 6 guests. The cottages are also bookable for family groups of up to 20. The cottages are on a Grade 11 Listed historic farmstead of 6 acres with Timber Trail Children’s Play Area. 4 & 5 Star Holiday Cottages in Wales, featuring luxury Snowdonia cottages surrounded by the biggest, boldest mountains in Wales and England in one of the most ancient and hauntingly beautiful areas in Europe. From Mount Snowdon, the highest, and Carneddau in the north (home to the UK’s only population of wild horses) to Cader Idris and the greener, rounder landscape of the south, Snowdonia is steeped in culture and history, and 65% of its population speak Welsh. Bryn Melyn Farm features 5 star accomodation in a large farmhouse and 5 independent cottages created from the original farm barns. The property is peacefully situated in 12 acres of attractive wooded grounds incorporating picnic areas and pond, tennis court, outdoor play areas, an indoor playroom, a helipad, and surrounded by pastureland on which you can enjoy ¾ mile of private fishing on the River Dee. Original Cottages have been providing people with top quality self-catering holiday accommodation for over twenty years – and feel that they are “really rather good at it”. They have a great selection of properties in the area, perfect for those visitors looking to explore the Railway and all our area of Wales has to offer. Railway Station Cottages is dedicated to bringing you the best railway cottage holidays and railway carriage holidays. Railway Station Cottages is the only website that serves as a hub for railway enthusiasts to find the perfect railway cottage holidays and railway carriage holidays. Our range of properties provide various types of self-catering accommodation across the United Kingdom. Picturesque elevated holiday village overlooking the Rhinog mountain range. The village offers privately owned Norwegian style detached log cabins & a bunkhouse sleeping up to 22 people. A lovely 17th century stone cottage renovated to a very high standard offering luxury accommodation for up to 6 people. Based in Newtown, Wales Holidays is a locally-based national cottage agency with an outstanding selection of rural and coastal self-catering holiday cottages in North Wales and Snowdonia, West Wales and Pembrokeshire, Gower, Mid Wales and the Brecon Beacons. We also cater for pet lovers with our pet friendly cottages. Bwch Y Uchaf campsite is situated next door to the Bala Lake Railway. We offer electric pitches next to the station as well as non electric pitches by the river so you can camp whilst listening to the river & the train chugging past. 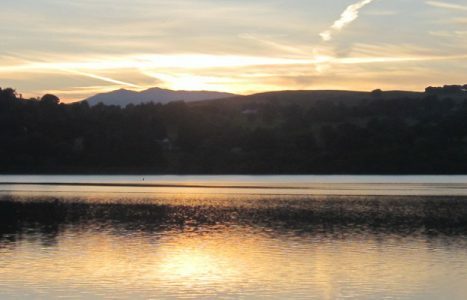 Pen y Bont Caravan and Camping in Bala, North Wales, located in the Snowdonia National Park. It’s a fantastic base for many of the areas outdoor activities including Sailing, Walking, Canoeing, Kayaking and Sightseeing. Alternatively you can just relax in our beautiful and peaceful site, take in the local scenery and enjoy the Beautiful Mountains, Lakes and Coastlines, Lake Vyrnwy and many other Tourist Attractions close by. We offer a unique and friendly service whether you are camping, glamping or touring in a caravan or motorhome.